a 6th century Celtic saint significant in the county, to whom the Devon flag is dedicated. there in the 6th century. The town is named for him, Pedroc-stowe, meaning ‘Petrock’s Place’. and Newton St Petroc are named for him. Petroc was also strongly associated with Exeter, for most of its history the most important, richest and most pious city in all of Devon. His association with these important towns in the county established his firm presence in Devon’s heritage. There are dedications to him at several key churches in the county and a strong focus on his cult around Torridge, north-west Devon, along the Cornish border. 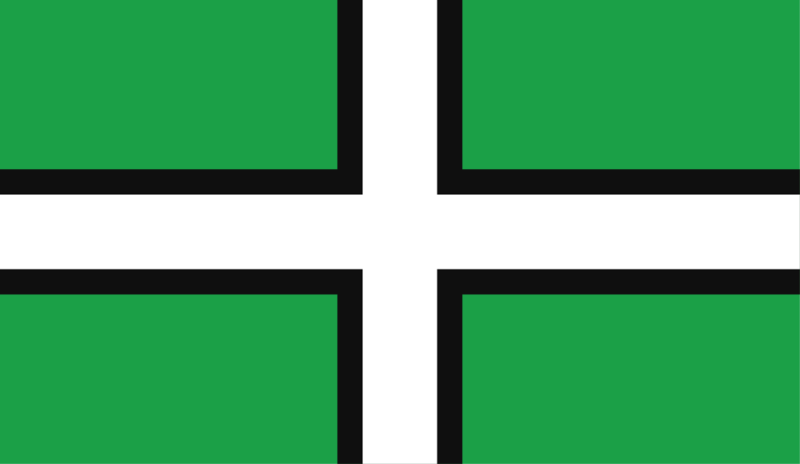 The pioneering force behind the Devon Flag, The Devon Flag Group, suggested several significant county dates when the flag might be raised, primarily the Feast Day of Saint Petroc’s, June 4th and this date has since been acknowledged and commemorated by Devon residents as Devon Day.